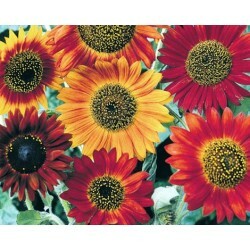 The compact plants are only 15 cm tall and produce a mass of extra large heads. Ideal bedding plant. 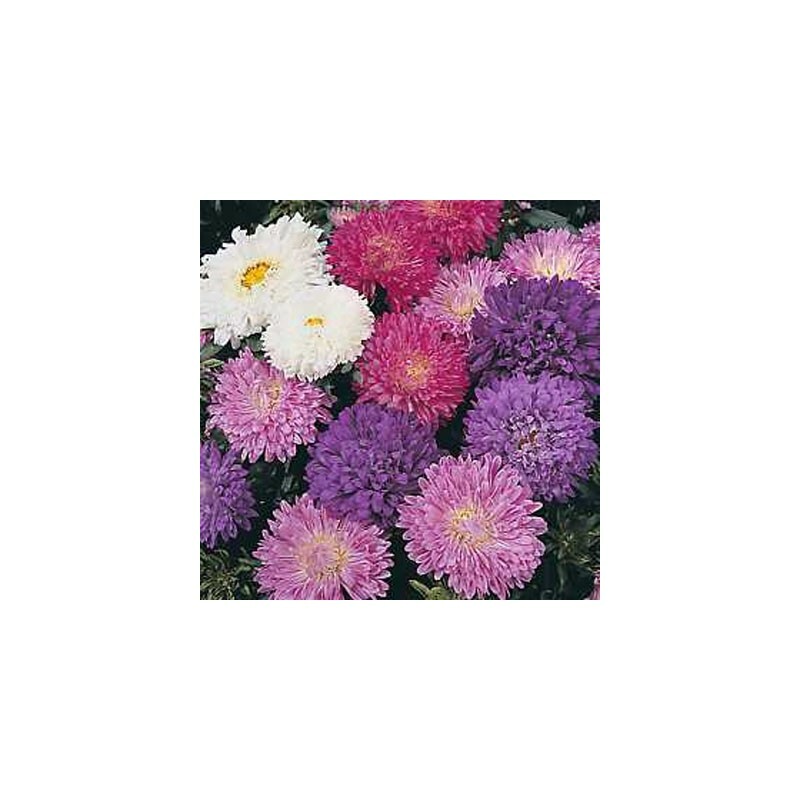 Aster Carousel contains of red, pink, purple and white blossoms. 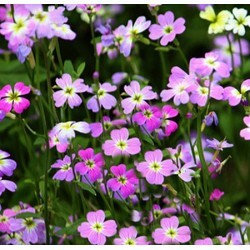 Excellent for borders, windowboxes or plant a mass for a carpet effect. 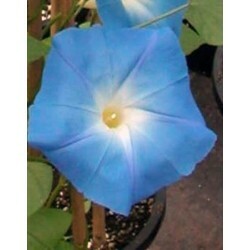 Can even be used as a cut flower. Sow the seeds inside at a temperature of 20 Celsius and above in March-April. Sow the flower seeds on the surface of good quality seed sowing compost and do not cover the seeds, light will help the germination. Place in a propagator or seal container inside a polythene bag until after germination which usually takes 7-21 days. Transplant the seedlings when large enough to handle into small pots or trays. 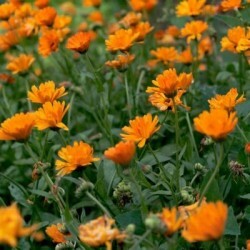 Grow them in a cooler condition and plant them out to their final position when the plants are acclimatized and all risk of frost passed in your area.